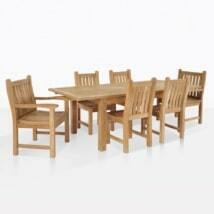 Modern, polished and classy; the Monaco Teak Dining Set with 6 Bruno Chairs is a revelation in contemporary dining! 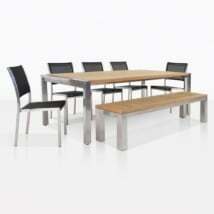 The Monaco table is 64″ long and expands to L79″ then to L94″ depending on the size of your dinner party. Impress your friends while dining out tonight on this stunning SS Monaco Teak Dining Table paired up with 6 Batyline® Bruno chairs, a fabulous collaboration of A-Grade Teak and Stainless Steel and mesh products resulting in a luxurious look that you will love! 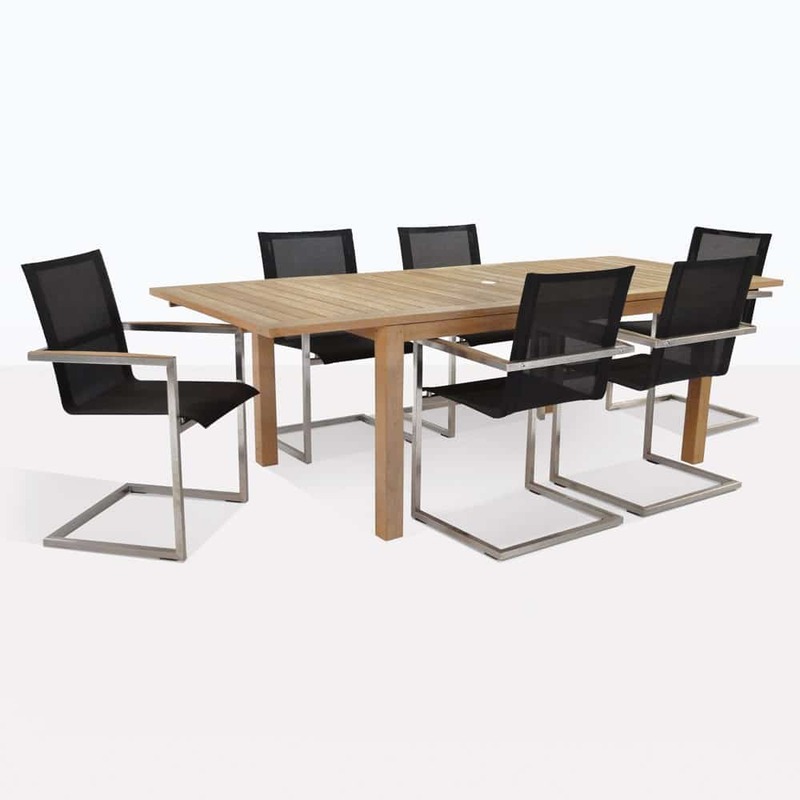 The SS Monaco is an extension table featuring a hint of marine grade stainless steel against the tightly placed slats of teak on the table top showcasing the master craftsmanship. 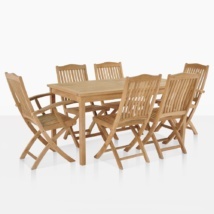 If that weren’t enough to pique your interest, it carries a butterfly extension piece that brings the seating quote up to 10 people! And it includes an umbrella hole! 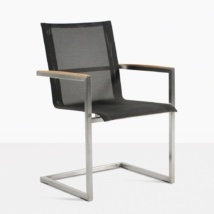 Our Bruno Chairs are available in 3 classic colors: taupe, black and white so you may choose the look that suits your home best! Imagine your concrete courtyard laden with this modern setting – you’ll be epitomizing present day glamor and enjoying the comfort of your surroundings while you host friends and family for long, laid back meals! 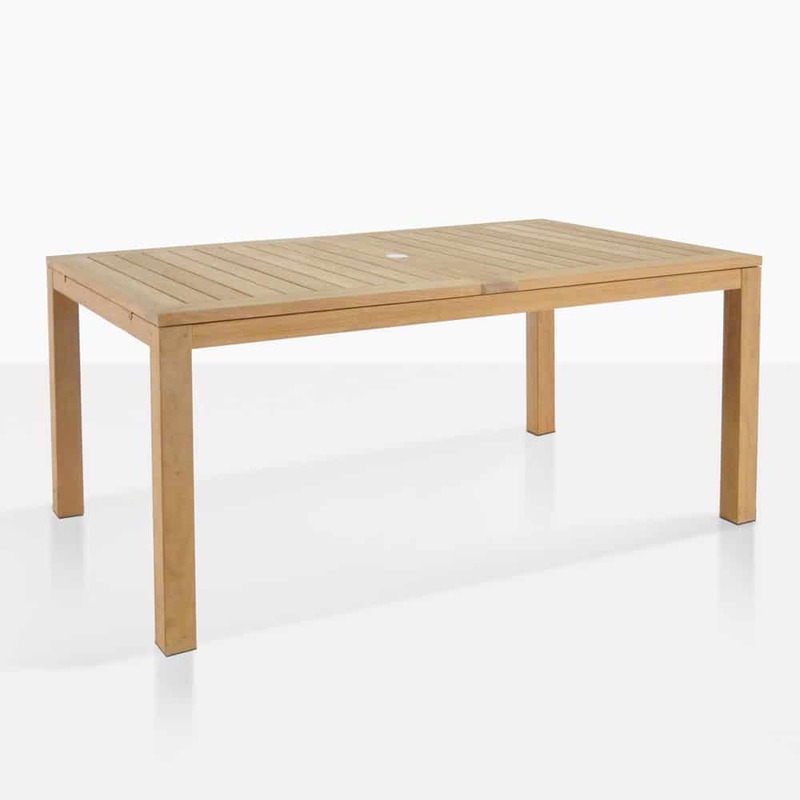 Included with the SS Monaco Extension Table are #316 Marine Grade Stainless steel fittings and umbrella hole cap, which won’t rust or corrode over time. While the wood is quality A-Grade Teak, highly sought after for its natural oil and rubber content, meaning it will look beautiful and last for years and years to come! The Stainless Steel is . 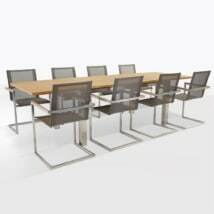 The SS Monaco extends from a 62″ to a 92″ table size in length. 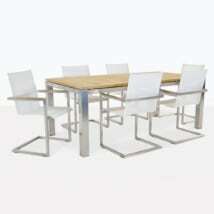 The width is 39″ which is perfect for the extra guests. Have a question about this or any of our products? Call our 1-800 number today! Our sales staff are on hand 7 days a week to help you find the perfect look for you!